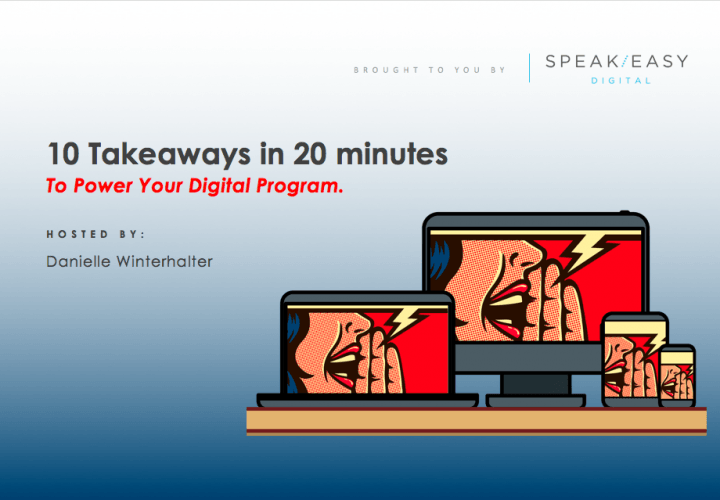 We recently received tons of positive feedback from SpeakEasy’s digital program webinar, What to Get Right & What Can Go Wrong in Your Digital Program This Cycle. This inspired us to create another webinar that highlights 10 of the most essential aspects of any digital campaign. We hope that these takeaways will give you actionable advice to create an effective digital program.